Supply Chain Management and Business Performance - The VASC Model : based on a Supply Chain approach, the Value Added Supply Chain model focuses on driving operational performance, but aims to achieve a greater and more dynamic integration between these two dimensions of the company's value creation. Based on a Supply Chain approach, the Value Added Supply Chain (VASC) model focuses on driving operational performance, but aims to achieve a greater and more dynamic integration between these two dimensions of the company's value creation. Christelle Camman is Assistant Professor in Business Administration at Aix-Marseille University and researcher at CRET-LOG in France. Her research interests focus on the management of Supply Chain strategies and organizations. Claude Fiore is Professor in Business Administration at Aix-Marseille University in France, specializing on the themes of management of financial and operational performances, and the control of management. Laurent Livolsi is Assistant Professor in Business Administration at Aix-Marseille University and researcher at CRET-LOG in France. He is director of the SNCF Logistics Chair in "Structuring and Management of Supply Chains". 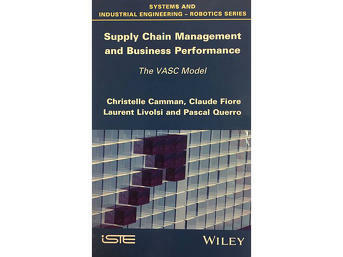 Pascal Querro is co-founder of the Supply Chain Consulting firm VINCIA Consulting and Associate Professor at Aix-Marseille University in France. He has been assisting major international groups in their operational transformation projects in the Supply Chain for 25 years.